Twenty-eight of the fifty-six signers of the Declaration of Independence were lawyers. San Luis Obispo County’s Superior Court Judges have finally answered a question I’ve long pondered. Why were so many lawyers the driving force behind the American Revolution? John and Samuel Adams, Alexander Hamilton, Thomas Jefferson, Patrick Henry, Richard Henry Lee, Edward Rutledge, William and Robert Livingston, John Jay, and many more led their neighbors to fight for self-government. What was the straw that broke the back of blind loyalty to a hardhearted crown? 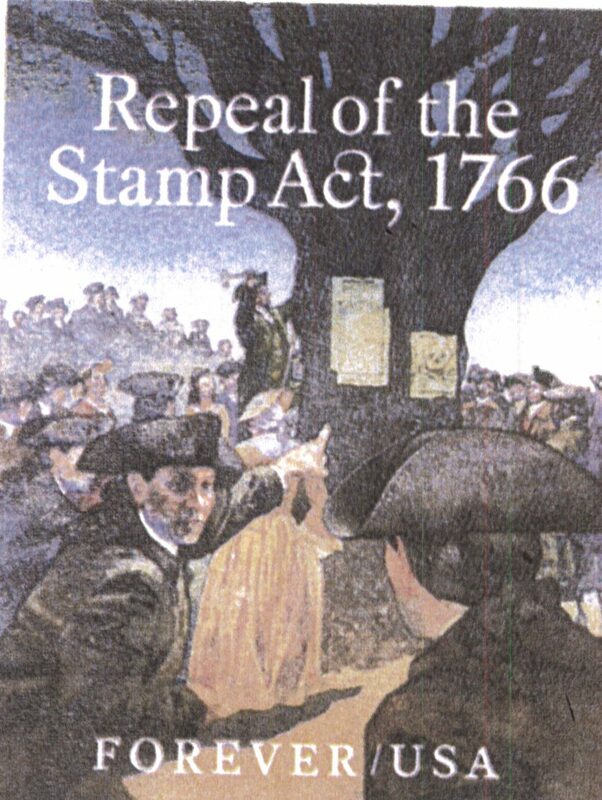 It was “the Stamp Act.” A one-penny fee imposed by King Georg on every legal document filed in American courts. Every time a lawyer filed something on behalf of his client, even a simple proof-of-service or witness declaration, there was that financial barrier against his client accessing justice. That penny seems small, until you realize that in 2017 dollars, that amounts to $3.48 for every paper filed in court. San Luis Obispo County Judges have surpassed King George with an even higher monetary barrier to most people’s access to legal help and justice. Last year, SLO County’s Superior Court judges barred paper pleadings and evidence in civil and family law cases. Going green? No, saving money; saving it on court clerks digitizing, storing and filing documents. All pleadings, notices, proofs-of-service, and evidentiary exhibits must now be filed electronically. Seems environmental. But electronic filing actually reduced the court’s cost to deliver justice. Expensive warehouses that once stored paper pleadings for centuries were discarded. A savings on real estate. Ended was expensive space-saving document Micro-filming. The judges’ practice of having clerks digitize pleadings to conveniently display them with a key stroke at their bench computers ended. The cost of digitizing documents was shifted to law firms and their clients. But local judges didn’t stop at saving bushel bags of money on real estate, micro-filming and clerical time digitizing files. On Jan. 1, 2017, the San Luis Obispo’s judges built a more direct barrier to people having the help of lawyers to access the courts. A new requirement that pleadings and exhibits be filed electronically was coupled with a required “fee” for each packet filed. Amounting to $4.60, it was 25 percent higher than the Stamp Act tax in today’s dollars. When one considers that litigants in many cases must submit hundreds and thousands of documents in a case, this is huge! There is nothing remarkable about needing to file 1,000 pleadings, notices, proofs of service, and evidentiary documents in a case to obtain justice. A thousand sets of documents filed in a case amount to $4,600 in added cost; a barrier to seeking justice that only the wealthy can absorb. This is twice what a parent might pay for a custody evaluation, and exceeds the cost of retaining a competent lawyer in many cases. It prices modest citizens out of the ability to access legal representation, access to the courts and justice. California’s Constitution requires Superior Court Judges to be elected by county voters. Voters can and should act as a check on judges who hobble voters access to justice. We should not elect judges who will mimic those that have already imposed this San Luis County Stamp Act. Voters should demand change to open up our courts. Tim Covelo and Hernaldo Baltodano have been endorsed by the current crop of sitting judges, suggesting that they will go-along, to get along, with other judges who came up with this flawed and dangerous idea taxing justice by the page. Voters should ask their election opponents, Ilan Funke-Bilu and Andy Cadena, whether they will support ending SLO County’s own $4.60 per pleading Stamp Act! Vote for fearless lawyers who promise to open the courthouse to you. Don’t shoot yourself in the foot by blindly voting in the guys endorsed by judges who’ve thrown up financial barricades against your access to the courthouse. 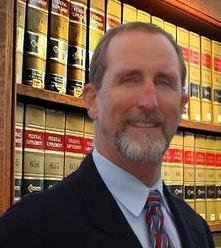 Stew Jenkins is a San Luis Obispo public interest lawyer who handles municipal law, estate planning and family law. In 2012, he successfully obtained an injunction against the City of San Luis Obispo to stop it criminalizing poor people as a means of driving them out of town. Jenkins is also the Secretary of the San Luis Obispo Chapter of the American Civil Liberties Union of Southern California who supports rights to equal justice, to organize unions, to project labor agreements, to health care and to equal dignity. Is Supervisor Adam Hill motivated by empathy or greed?